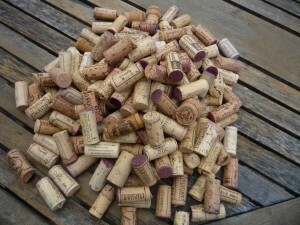 I am a huge fan of using corks in wine bottles; any natural and renewable material has got to be good in my book and I have been convinced for a long time that producers are turning to plastic corks and screw tops for their own benefit rather than that of the consumers despite their arguments as to the superiority of these manmade alternatives. So I was delighted to read this article and very happy to promote it in a blog that not only covers property but all aspects of living in France of which wine is, of course, a very important part. It is rare that I view a house without a wine cellar and hence I think that qualifies wine as a subject which has relevance here, albeit slightly tenuously. The reason that screw caps for wine bottles were even brought into the equation is because natural cork was proving an unreliable and expensive material. With the boom in New World wine production and the ensuing overall increased consumption, such traditional cork regions as Portugal, could not keep up with demand. Errors were made and tainted corks seemed to be a bigger problem than before. In truth, taint was always a problem, but traditionally, consumers were able to simply return their corked bottles to their wine merchants for a refund. Today, consumers buy their wine from supermarkets, which usually means that ‘after-care’ and customer service is no longer part of the deal. However, the cork trade has caught up and is even way ahead: it is set to be one of the surest economies of the future. Around 340,000 tonnes of cork are extracted annually from 2.3 million hectares of cork oak forests around the world, which go to make 12 billion stoppers. Portugal accounts for some 55 per cent of world cork production, with its 716,000 hectares of cork forest, exporting around 90 per cent of its raw material. This level of production ensures that both cork oak forests and the industry itself, which is perfect for arid and semi-arid areas, remain sustainable. In fact, regularly stripping cork oaks helps them to regenerate naturally and during this process, the tree absorbs, on average, five times more CO2. It is estimated that every year cork oak forests retain up to 14 million tonnes of carbon dioxide. Portugal reforests at a rate of ten thousand hectares per year, that is, an annual growth of around 4 per cent, with two new cork oaks being planted for each old tree. I think that most wine lovers would agree that a real cork stopper will always win over a screw cap both for the enhanced experience and the extra element it brings to the wine. Thankfully, here in France, most producers still favour the traditional and all-natural cork so here’s hoping that it may be able to shake off that bad-guy image once and for all and become the norm once again.